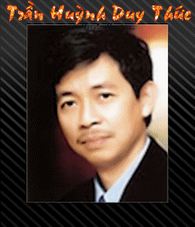 Tran Huynh Duy Thuc, entrepreneur and economist, was sentenced to 16 years of imprisonment in 2009 under article 79 and 88 of the Vietnamese Criminal Code. In August 2012, the UN Working Group on Arbitrary Detention adopted Opinion No 27/2012 on Tran Huynh Duy THuc and his three co-defendants. The Working Group concluded their detention was arbitrary and requested the government of Viet Nam to take steps to remedy the situation in accordance with the Universal Declaration of Human Rights and the International Covenant on Civil and Political Rights to which Viet Nam is a party. 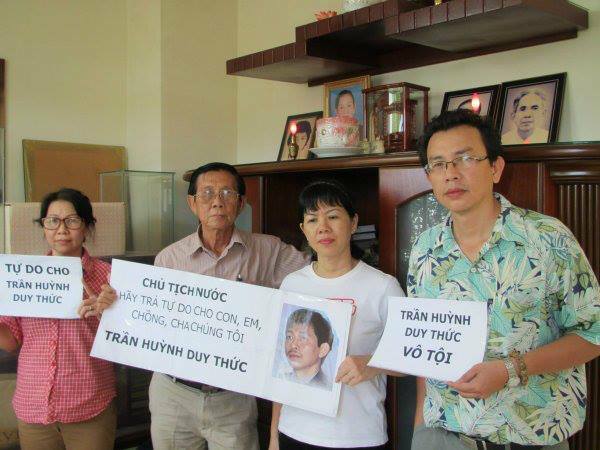 The Working Group called for the release of Tran Huynh Duy Thuc and the three others, and for compensation to be made. Photo: Tran Huynh Duy Thuc’s family holding signs asking for his release, as police blocked their house to prevent them from going out to submit a petition to the President of Vietnam before his trip to the US in July 2013.